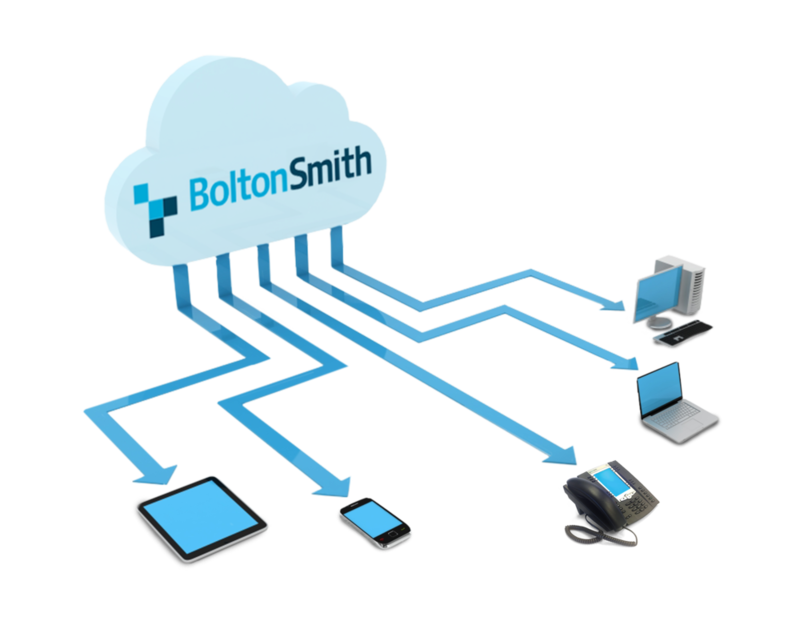 BoltonSmith has over a decade of experience creating, managing and deploying the most resilient cloud services available. Trust, reliability and experience are the most valuable assets when building your IT infrastructure into a suite of cloud services that meets your individual business needs. Whether you’re looking for an in-house solution that gives your local IT department ultimate control, or you need to find ways to alleviate cost with secure hosted and managed services, BoltonSmith will find the combination that meets your goals and budget. BoltonSmith is a full-service, customer-oriented IT provider ready to bring every aspect of leading-edge communications technology to your organization. From telephony to virtualizing your business environment, we bring the benefits of the latest cloud innovations to you. Let our solutions architect assess your needs and work with you to create the right combination of services, giving you the reins to a powerful could data network that is ready to scale with your business. As an ever-present partner, BoltonSmith can assist and support your organization whenever and wherever you need it. All our services come with the highest levels of industry compliance and government mandates, for a robust, secure partner you can trust. Take your cloud out of the box and take control of your data, we’ll show you how. Contact BoltonSmith and our cloud solutions architects will assess your organization and your needs. Your virtual business environment is closer than you think.